Clean up the streets with tough justice. Team17 and MakinGames, a studio formed of former Rare developers, have announced Raging Justice, a beat ’em up coming to PlayStation 4, Xbox One, Switch, and PC in 2018. The city is in chaos! With crime and corruption around every corner, it’s all down to a team of hard-hitting justice seeking mavericks, to clean up the streets with some tough justice! 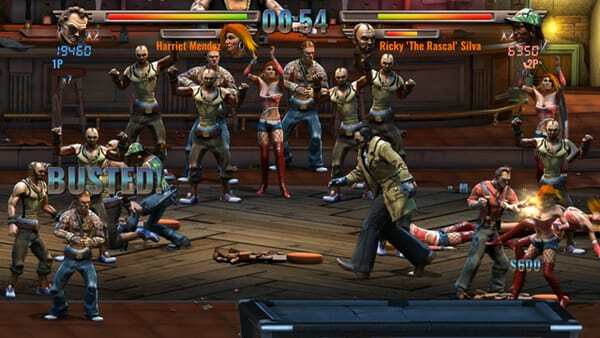 Raging Justice is a classic beat ‘em up, dragged kicking and screaming into the 21st century. Created by ex-Rare developer, MakinGames! Global Leader Board: Forget good cop/bad cop, remove your shades and set your sights on becoming the best cop! As the tensions rises, so does your score. Do you have what it takes to be awesome?